Doing your research, establishing a web presence, and choosing your words wisely are three important steps of choosing a business name. Incorporating your business is portent for two reasons: adding protection from liability and establishing brand equity. Consistency is key to choosing a real estate business name that is memorable. Every investor needs to incorporate their business for two important reasons: adding protection from liability and establishing brand equity. However, far too few investors actually take the time to strategically formulate the latter of the two. And not nearly enough sweat equity is put into the formation of real estate company names that project the image, vibe and reputation of your successful venture. But finding those effective real estate business names that convey the image you want should not be overlooked. Because for all intents and purposes, your brand name will be the first impression you give off to would-be sellers and buyers. And as many real estate investors have learned — the hard way, unfortunately — your career won’t last as long as you want it to if you neglect to take the proper steps to learning how to choose a business name. So whether you’re starting from scratch and looking for creative real estate investment company names, or you’re a veteran investor looking for some alternative house flipping names you can use to rebrand yourself, here are some steps you can take to find the best (and most impactful) real estate company names. When observing the names of real estate companies that you admire, you might be wondering how they arrived at that specific name. A useful exercise is to take great real estate company names and try to dissect why they are so likeable. Elements you are able to pick out can make for lessons on how to start formulating your own business name. Below you will find some tops tips for choosing the best real estate business names. Aspiring real estate investors are advised not to use their personal names (first, last or family) in their real estate investment company names. First off, some names are difficult for potential clients to memorize. In addition, as your company expands, clients might get disappointed when they expect to be able to work with you personally. I also recommend avoiding the use of terms that are too specific, such as “investor,” or references to a specific geographical location, as it can pigeonhole your real estate business name options. Let us say you pick a name similar to “Rockingham Investing.” In this case, including a specific location and business activity in your business name can be limiting in case you decide to expand, relocate, or add new types of business ventures. The best real estate business names are born from your own creativity. Why are you investing? What are your values? What are your goals? Let these aspects dictate the name of your real estate business. Selecting a business name derived from your passions and inspiration can help tie an emotionally compelling story to your brand, thus making it easier for clients to relate to you and your company. Real estate company names of any significance are the result of hours of research. Don’t think it’s something that will come over the course of a few minutes. When you’ve landed on a name, you must first make sure the name isn’t already trademarked or copyrighted, too similar to your competitors, or associated with potentially negative meanings. You can search for existing trademarks through the U.S. Patent And Trademark Office database, and search for existing copyrights on the U.S. Copyright Office website. Building your brand requires getting your real estate company name out there all over the internet, by establishing a website and creating accounts across all of the popular social media platforms. Furthermore, a business owner must continuously saturate their markets with emails, posts on social media and other types of marketing. This is an opportunity to establish yourself as an expert in your niche, as well as gain exposure for your brand. Make sure all of your efforts include a call to action directing your audiences to your website. When choosing a business name, consider how it’s going to be used to market your real estate company. Remember, this name will be on everything from your business plan to your marketing campaigns. 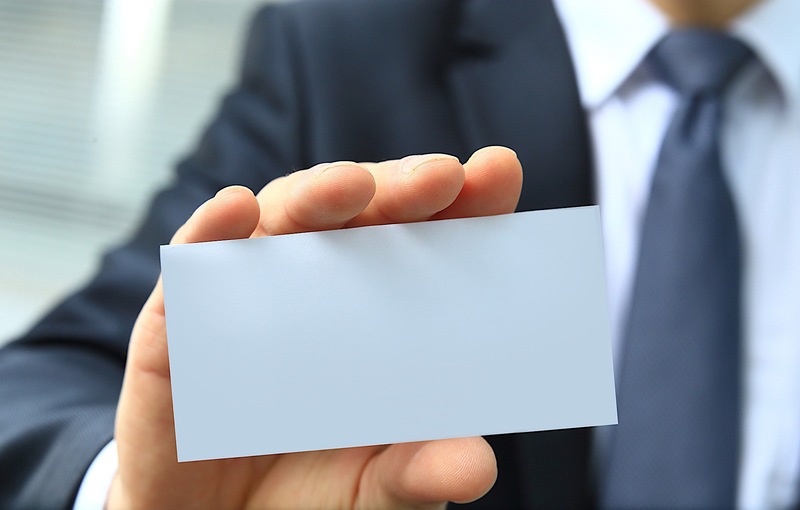 One way to test whether or not your desired business name is marketable is to order a mockup of a business card and get a sense of whether or not the name contributes to representing your clearly. The best real estate investment company names account for brand unity. Consistency within your branding efforts will make it easier to be found by prospects, increase marketing ROI and make it easier to build value. I could easily argue naming a real estate investing business is the largest first-step entrepreneurs take. Any hopes of borrowing, forging new partnerships, franchising or selling down the road are contingent on the real estate business name you decide to fortify and build up. So before rushing to register a name for your real estate investing company, follow the steps I outlined above. Otherwise, you could face potentially crippling setbacks. When discussing how to choose the best real estate company names, one of the top tips included making sure to perform ample background research, such as checking for trademarks or copyrights, or making sure that your proposed name does not have any negative connotations. In today’s digital age, the internet serves as the most powerful research tool available at your fingertips. To enforce this idea, the following are ways you can use the internet to perform research to assist you in selecting a powerful business name. The first step in the internet research process is to double-check the availability of your name. Try typing the name you have in mind, along with possible variations, into Google search. What do the search results look like? This process can help you evaluate how much competition you would face when picking that name, and whether or not you think you will be able to rank well in Google search results. In addition, you can make sure you would want your name to be associated with the type of websites returned in the search results. You may also use this exercise to identify popular related keywords to include either in your business name or within the copy of your website. Does Your Real Estate Business Name Have A Matching URL? In devising a business name for your real estate company, it is of utmost importance the name you come up with is accompanied by a matching URL. I can’t stress enough how important it is register your website under a domain name that corresponds to your real estate company name. That way, a simple search on Google can tell prospects what it is that you specialize in; there’ll be no second-guessing what your company is in business for. However, real estate investment company names that match their corresponding URL have the added bonus of increasing search results. The easier it is for potential customers to find you, the better off your business will be. Yes, it may be difficult to set your real estate business name apart from your competitors at first, but it is well worth it. The sooner you can establish a recognized brand for your business name, the sooner consumers will see you as a viable option. Utilize the tricks I listed above to increase your brand and its exposure. Having a social media presence is an invaluable tool for reaching potential clients, and similar to wanting a corresponding URL, it is important to establish usernames or handles that correspond to your business name as well. Visit the primary social media channels that you plan to use, such as Facebook, Twitter, Instagram and Youtube, and perform a search to see if your desired username or handle is available. In the case that it is unavailable, you can try making small variations or abbreviations. Although having to do so is not ideal, at times there is a tradeoff between making small changes to stay as close to your desired business name as possible, versus changing your name completely for one that is available across all platforms. Of course, setting yourself apart from others can be as difficult or as easy as you want it to be. I personally recommend branding yourself into a specific niche; a process that can be started when choosing your brand name. New investors are advised to form their own niche, whether it is a certain type or real estate, a geographic area, or a real estate investing strategy. Whichever you choose, don’t worry; there is plenty of business to be had. Sticking to a niche just allows you to focus your marketing efforts. Are you stuck looking for the best real estate business names? Try following the five steps I laid out above; they should point you in the right direction. Real estate company names are essentially the foundation of a successful business. As the face of your business, and often your first chance to make an impression, real estate business names are your first line of defense – and offense for that matter. Make sure yours is telling potential clients what you want it to.